As much as you may love cycling, finding time to get out your bike in among a busy life full of work and other commitments can be harder than ascending Mont Ventoux on a unicycle. Backwards. Where there’s a will, there’s a way, as they say, and here we present some tips to help you squeeze in a decent ride in among spreadsheets, travelling, taking the kids to school/clubs, fixing that leaky tap and all the million other things that fill up the average week. We’re assuming here that you are not fortunate enough to be able to commute by bike into work each day – something which makes fitting in your cycling easy. If you could commute into work by bike and don’t, then that is the most obvious way to clock up some miles during the week as well as being a great way to start and end the working day. Two short rides during the week and a longer one at the weekend can soon see your cycling fitness and ability improve. With a bit of forward planning, this cycling schedule is surprisingly within the grasp of a lot of us. The obvious way to fit in a ride around a working day is before or after. This is easy in the summer months, with enough light and warmth to be an enticing prospect. In the winter, it’s harder to motivate yourself to get up an hour earlier than normal and get out in the gloom. Get yourself ready the night before (see 2. Be prepared), and it’s amazing how much of a ride you can get in before it’s time to head back home, grab some breakfast and get ready for work. As your colleagues dozily appear at work, you can have the bragging rights that you have already been out and got your daily exercise well before they brushed their teeth. It’s easiest to use two or more shorter routes that are well known to you, alternating them from one ride to the next to stop it being repetitive. It all depends on your speed and terrain, but a ride of 10-20 miles twice a week during the week can reap benefits. Early rides have other benefits too: you’ll be surprised at the wildlife that is already up and about and busy at work while the human population is only stirring. Above all else, your biggest ally in managing to get out and ride is being prepared. One of the biggest put-offs in motivating yourself to actually don your cycling kit and get out of the front door is the amount of faffing around that can be done: checking the weather, finding the right clothing, attaching lights, pumping up tyres, retrieving the bike from the garage… only to find you’ve forgotten your waterbottle. Get everything ready the night before you plan to ride. Put your kit in one place and check it is all there and that you have the appropriate clothing, helmet and shoes. Make sure your lights (if you need them) are charged and on the bike. Put out your waterbottle, and any food you may need. Pump your tyres up and oil your chain. Get your spares/tools ready. When it’s time to ride, a quick change and a fill of your bottle is all you need and you can be ready to roll within 10 minutes. If getting up early and going out riding is simply not your thing, then the other obvious time to go out is after work. Again, this provides different scenarios in summer and winter. An evening ride in summer can actually be the best time to go out, and you can cruise through the quiet lanes well before the sun sets. In the winter, strong lights are a necessity, as is a good set of appropriately warm clothing. Riding through very familiar roads at night can literally allow you to see them in a new light (as long as you remembered to charge your lights up). 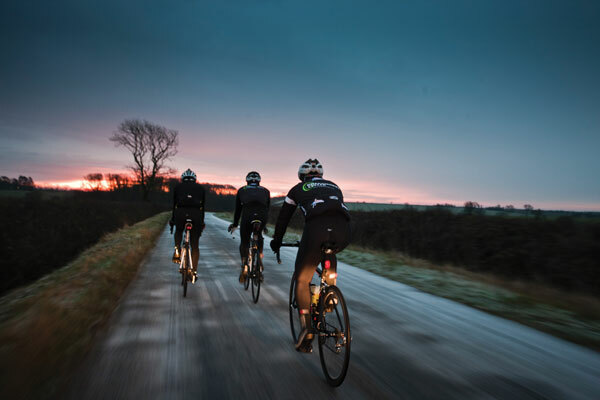 When you are planning a ride, take account of the fact that you may well be slower than you would in daylight. You’ve worked all week, and have earned to ride your bike at the weekend – but even then, a whirlwind of commitments with friends and family can mean it’s hard to find a chunk of time to tuck away a decent ride. Once again, planning ahead is the key here. Check the weather and try to pick the best time to go out, and then make sure it is okay with your partner (if applicable). It’s very disappointing to find yourself stuck indoors on a sunny Saturday, only to get up on Sunday to be greeted by high winds and rain. As before, get all of your kit ready in advance (ie the night before) and you can be up and out before the rest of the house has stirred. In fact, you could even be up, out, cycled for a couple of hours and be back before the rest of the house has stirred, particularly if your household involves teenagers. Alternatively, rather than going out on your own, you could organise a family cycling trip, or meet up with friends for a ride. Get everyone involved. 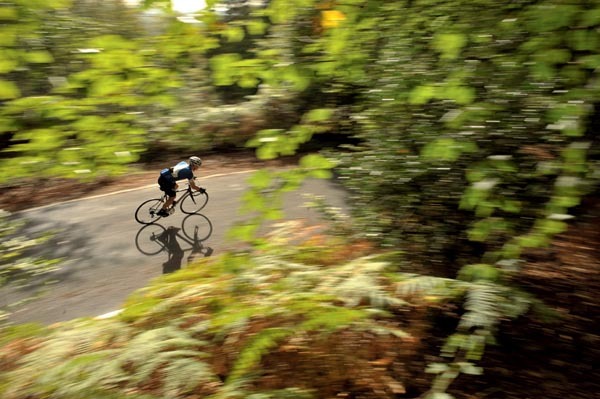 One of the most satisfying ways of making time for cycling is to take a day, or half day, off work to get in a ride. There’s something great about riding along when you know most of the world is at a desk – even if that feeling is just for a few hours. If you can rope in a friend or two for the ride this helps make it more of an an occasion, and also aids the motivation for getting out and doing it. Perhaps there’s a route you’ve been meaning to try, or perhaps a cyclists’ café you haven’t yet checked out because it’s just out of range of your normal riding distance. As an occasional way of getting in a long ride, a planned day off can be wonderful. Obviously, there’s a limit to how many of these you can take in a year, but why should they be reserved for trips to the dentist or waiting at home in for a delivery that never arrives? You deserve better. And Cycling Weekly would never, under any circumstances, recommend pulling a sickie on a day when you get up and find that there’s no wind and the sun is shining. If Friday evening has come around and you still haven’t managed to get out this week, then don’t let that thought agitate you. We share your pain, obviously, but cycling should be fun, and your life doesn’t need to be filled with anxiety related to whether you have/haven’t been out for a ride.